Gone are the days when the only work women were to do in society involved dong household chores, taking care of the kids and being a good submissive housewife. Today’s woman is well educated and does not sit at home waiting for the man to bring everything to her. Instead, she has her own job and looks for her own money, Not to intimidate or take the man’s place but because she has been empowered to be great. She is constantly reminded to work hard and to be better. She believes that she can do anything she puts her mind to. This is why many women today are focusing in business and growing in the corporate world. “As a government we are keen to see the successful integration of the region and an overall functional Free-Trade area for the continent. This however, cannot happen without the labour of women,” said Ambassador Amina Mohammed, Cabinet Secretary for Foreign Affairs, during the launch of the Women in trade programme by Trade Mark East Africa. Many companies today are seeking to get more women in top management because research indicates that management with more women make better decisions as compared to those with fewer women. 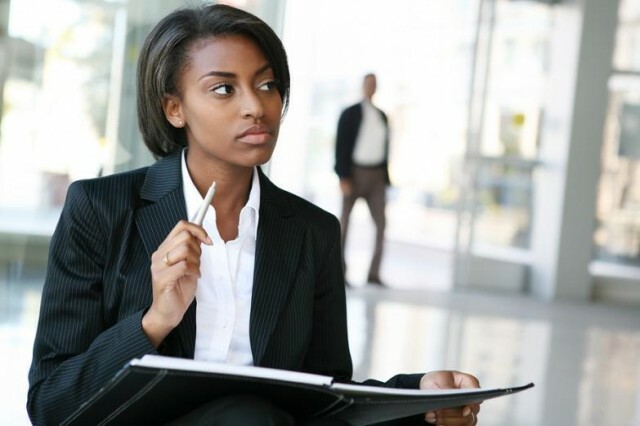 So, what should you do to get make it in big in the corporate world or to get to the top in business as a woman? Here are a few tips. Have a clear picture of what you want to do and where you to go. Write down your goals and keep looking at them and working towards them. This helps you to maintain our focus and avoid diversions. Get the right education. Keep training. Learn all the skills you can. Create a good rapport with your When the chance to get promoted comes, you will easily slide through. You can get to the top without compromising on your values. Uphold your values no matter what. Self discipline is very vital on your way up. You will gain more respect among your peers and colleagues if you refuse to use unjust means to rise up the corporate ladder. This builds loyalty and increases repeat business especially with your customers. Your boss will have you in her/his good books if you produce or deliver more than they expect perfectly. Ensure that you get into a business that you love, one that you have a great passion for. You will do whatever you want to do way better if you love it and are passionate about it. Your good works will show as a result, and you will increase your chances of rising to top management. Do not be afraid to fail or to take risks. You need to be ready to take risks if you want to be big in the corporate world. No one ever gained anything just by being contented with where they are. Remember he higher the risk, the higher the returns.